Hello, I’m using Vray in Maya and I am having a problem of how to get the exact coloration from a reflection of a mirror with it’s environment. I did a simple test. As you can see, the color of the ground looks the same as it’s reflection in the cylinder. 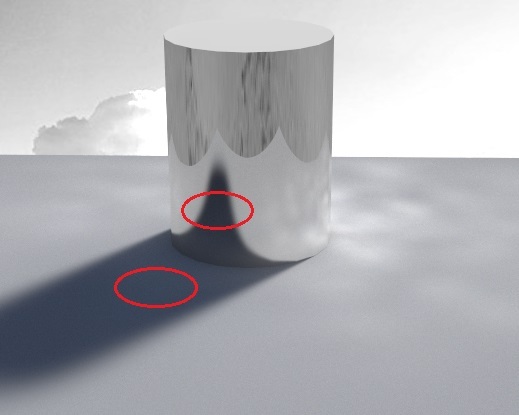 But the shadow in the ground doesn’t match with it’s reflection in the cylinder. In the reflection, the shadow looks darker. How do I solve this problem? By the way, the shader for the mirror is very simple. I only set the color to complete black, set the reflection to 1 and glossiness to 1.